Highlights of the Sky Bet League One clash between Peterborough and Bradford. 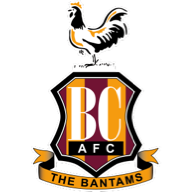 Bradford boss Phil Parkinson hailed milestone man James Hanson after a famous 4-0 away success against Peterborough. City swooped for a first-ever victory at London Road as strike ace Hanson marked his 300th appearance for the club with a double. Hanson broke the deadlock when converting Kyel Reid's cross in the final minute of the first half before dangerman Reid doubled the advantage with a smart finish 11 minutes into the second period. Hanson struck again when glancing in James Meredith's glorious 68th-minute cross and substitute Steven Davies continued the torment eight minutes later when guiding in a Tony McMahon cross-shot. Parkinson, who made six changes, said: "James was outstanding and put in a top-class number nine performance. He got his two goals, but his all-round play was outstanding for the team. "But I'm really pleased for all the lads as they implemented the things we set out on the training ground. "Lot of individuals shone within the team framework to make it a great afternoon. "We came into the game on the back of a disappointing defeat and we've had a tough week since then. Everyone pulled together to get what ranks as one of our best away results. "We have had many big cup nights in our time and had to respond in the next game. 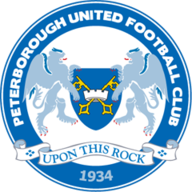 That can be tough to do as Peterborough found today." Posh were dismal after their televised FA Cup exploits, when pipped by Premier League side West Brom in midweek. It might have been very different had Adil Nabi and Jon Taylor not been denied by goalkeeper Ben Williams' fine save and a brilliant Stephen Darby block respectively in the opening minute of the second half. Williams then produced a stunning save from Nabi's late free-kick to seal City's 16th clean sheet of the season. Posh boss Graham Westley carried the can for his club's heaviest defeat since November 2010 when they went down 5-1 to a Charlton side managed by Parkinson. He said: "Embarrassed, humiliated and shambles were some of the adjectives used by the senior lads after the game - and they are right. "It is a disappointing result and one I will not make excuses for as I should have selected better. "I take responsibility for the decisions I made as I got it massively wrong, but it is important we don't let this game rest too heavily in our minds. "We have to apologise to everyone who came to watch it, but we now need to go into the last 16 games with the confidence of everything we have done up until this point because we're going to need to pick up a lot of the 48 points that are available. "We did have some chances to at least get ourselves on the scoresheet but we weren't clinical enough again."